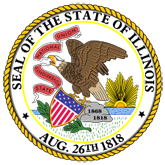 This document provides a comparison of gas sales statistics for calendar years 2005 and 2004 for the following Illinois gas utilities: AmerenCILCO MidAmerican Energy Company AmerenCIPS Mt. Carmel Public Utility Company AmerenIP Nicor Gas Company Atmos Energy Corporation North Shore Gas Company Consumers Gas Company Peoples Gas Light and Coke Company Illinois Gas Company South Beloit Water, Gas and Electric Company Interstate Power and Light Company All utilities included in this comparison followed the Uniform System of Accounts as prescribed by this Commission in 83 Ill. Adm. Code 505. The statistics presented in this comparison rely upon data filed with this Commission by the utilities in the Form 21 ILCC, as well as, data from the FERC Form No. 2 and clarifying information from the utilities. The customer counts presented are based upon each utilitys average number of customers per month. Consistent with similar comparisons, sales labeled "Sales for Resale" and "Interdepartmental Sales" are stated separately and are not included in "Total Sales to Ultimate Consumers. In May 2005, the Illinois operations and service territory of AmerenUE were transferred to AmerenCIPS. The 2005 and 2004 amounts presented for for AmerenCIPS are aggregations of the of the amounts for AmerneCIPS and AmerenUE. For Table 14, Total Throughput Therms equal the sum of therms for Total Sales to Ultimate Customers, Sales for Resale, Interdepartmental Sales, and Gas Transported for Others. For Table 15, the Account 904 balance for a gas utility operating in more than one state jurisdiction is calculated by multiplying the Account 904 balance from the FERC Form No. 2 by the ratio obtained from dividing the gas utilitys Illinois gas operating revenues by the gas utilitys total gas operating revenues. 1. Comparison of Gas Sales Statistics (20060802220011_060523ngstatistics.pdf).